The emergence of nanoscience portends a revolution in technology that will soon impact virtually every facet of our technological lives. Yet there is little understanding of what it is among the educated public and often among scientists and engineers in other disciplines. Furthermore, despite the emergence of undergraduate courses on the subject, no basic textbooks exist. Nanotechnology: Basic Science and Emerging Technologies bridges the gap between detailed technical publications that are beyond the grasp of nonspecialists and popular science books, which may be more science fiction than fact. It provides a fascinating, scientifically sound treatment, accessible to engineers and scientists outside the field and even to students at the undergraduate level. 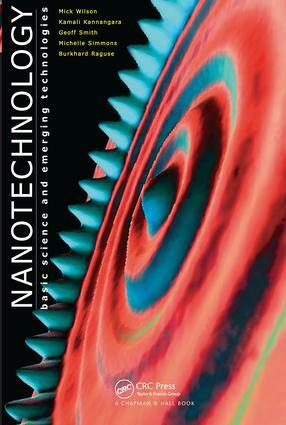 After a basic introduction to the field, the authors explore topics that include molecular nanotechnology, nanomaterials and nanopowders, nanoelectronics, optics and photonics, and nanobiometrics. The book concludes with a look at some cutting-edge applications and prophecies for the future. Nanoscience will bring to the world technologies that today we can only imagine and others of which we have not yet dreamt. This book lays the groundwork for that future by introducing the subject to those outside the field, sparking the imaginations of tomorrow's scientists, and challenging them all to participate in the advances that will bring nanotechnology's potential to fruition. What Will Nanoelectronics Do for Us? Robots - How Small Can They Go?